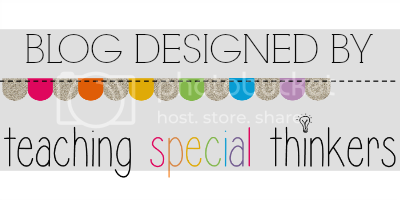 As a special ed resource teacher, I don't have a typical homeroom of students. I pull students from several grade levels and several different classrooms. My first few years as a resource teacher I felt so sad on Meet the Teacher days. My classroom was ready, I was ready and dressed, but there were no students and parents coming to see me. All of my students were going to meet their gen ed teachers and dropping off supplies but not coming to my classrooms. Since I can't visit all of my students in their gen ed classrooms, I realized I needed a way to encourage my students to come to me. Every year, I place these Welcome Back to School cards on their desks in the gen ed classroom. This little reminder has made a HUGE difference in the amount of students and parents I have coming to see me. I love having the opportunity to chat with parents and not be in an IEP meeting. I've made 3 different versions with slight word changes for you. 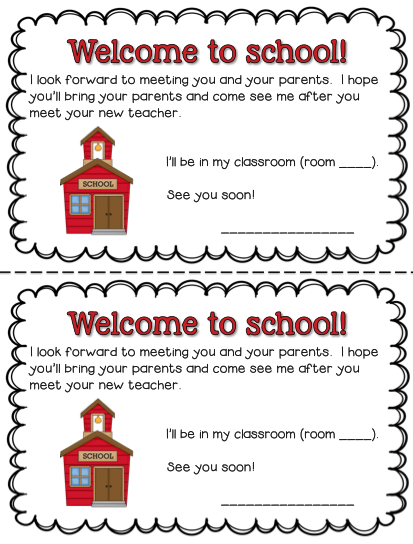 These cards are good for returning students that you've already met, new students that you haven't met, and those young Kindergarten students who are just Welcome to School for the first time. Click on the picture to download your cards. Have you found ways to encourage more students and parents to visit you for Meet the Teacher?